EVERYPONY IN THIS TOWN IS CRAZY! Fluttershy stepped out of her home as the sun warmed the soft grass that separated her from Ponyville, "Ah what a lovely day out, perfect weather to go and get some shopping done in the markets" She said happily as she turned to see Angel bunny close the door behind her, a little rough. She sighed as she shook her head, Angel was always a handful with her, even with her new assertive methods he always won the 'arguements' that they had, though it was more of him complaining and her obeying. She looekd to the sky, a few soft puffy clouds dotted the sky, most likely pegasi couples enjoying a summ...wait what! Fluttershy shook her head and took a deep breath as she composed herself, every since she met Tex Critter at the Watering hole a week back or so she had been thinking more about couples and love, she could not figure out why? Fluttershy closed her eyes, "R..rleax Fluttershy, it's natural, your a young mare, your bound to hit the point where you will think about Stallions" she said to herself, "b.but what am I to do, I could never go talk to one, oh no no, plus I don't need to be in a little relationship at all," she giggled, "Oh could you imagine my friends faces to see me and a Stallion ona stroll through the forest? or or sitting and enjoying a meal or even kis.." she blushed as she shook her head, "No, I'm over thinking it, plus no stallion want s a mare as shy as me, i'm too bland" she said, "I'm no super model pony" she rolled her eyes as she headed off toward Ponyville. I came to a realization not far into Season 1, but interestingly it didn't really make me stop and think until the second episode of the Season 2 finale: the smiles in this show make me smile without fail. This somewhat tugged at my attention during Pinkie's Smile song, but honestly it was when Twilight realized she'd found the true Cadance and gave that little endearing smile with the sparkly eyes and the squeaker toy noise that it hit me. That one actually makes me laugh, because it reminds me so much of the adorkable smiles many cartoon characters had in my childhood. Can anypony else not resist the smiles on these happy little ponies? OOC: Something I thought of after watching party of one. Anyway no real story line set, just a place we can share some laughs as we share our characters in their little mental break down moments. And if ya got a good one for any of the mane six or other characters from the show feel free to share and don't worry about the posting rule. If ya got a funny break down share it with us so we can all share in the laughs. Okay, so here's the why of this... My co-workers are, well, your typical male guy. For the past week, they have been deathly confused as to why I am a Brony. How this came about? Simple, I've been wearing Applejack on my keychain and have refused no one, customer or co-worker, a straight answer as to why I have her. They ask, I answer. They become confused, I explain, their brains go into a gridlock. Last week, after 3 months of them giving me odd looks, one of them finally worked up the courage to ask. My boss looked oddly mortified to find out that I have been a Brony since March of last year, seeing as I have been working for him for almost two years now. He, above everypony else, is trying his hardest to figure out why I'm a Brony. I actually find it kind of endearing. The thing is though, no matter how much I have suggested they watch an episode and find out for themselves, they immediately shoot it down under the assumption that "men don't watch this" which in turn restarts the vicious cycle of questions as to WHY I am a Brony. I am assuming that this stems from typical gender roles and ideals about typical male behavior being too far ingrained into their psyche to allow such as thing as, well, us to exist. Its the only logical explanation I could find to their constant queries. Plus, I am getting tired of repeating myself if they are not open to the idea of exploring the answer for themselves. So I aim to fix this. 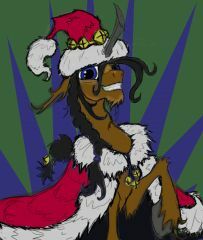 Now, don't get me wrong, I'm having a blast going Trollestia on them now that they know where the terms are coming from. So much freedom. But, I'm starting to think that their inability to "shame" me for being a Brony, yet alone find an acceptable explanation as to why, has begun to render them innate as typical "male" guys. If males cannot "shame" each other by effemination, and as such belittling that individual's role as "male", they themselves fall victim to that effect. This can lead to passive aggressiveness between the individuals. I do not want that, and as such have propositioned them with a challenge. It involves a 12 pack of their favorite beer if they succeed. I never bet unless I know its a certain win. And their Achilles heel? I know them. As such, I have bet them that, if they can watch one entire episode, ONE, without laughing once... I will buy them a 12 pack of beer. Now for the "WHAT" I am trying to get out of this poll... I am simply looking for the funniest episode. The conditions for this are not so simple though. What I need is an episode that is funny but it must meet 3 conditions... 1) It cannot be too overly cute. 2) It must stand by itself. i.e. It cannot rely too heavily on already established character developmental plots. 3) No songs, not yet. I have given them the option to skip the intro because I know they won't bear it. I didn't the first time. Now, you might be saying, "Well, that just takes everything away that makes MLP so awesome!" Trust me, I know this and I regret it. But what I'm trying to do hear is appeal to their main weakness as per my observations. Humor. I have to do this in baby steps so as to not send their systems into shock. Kind of like introducing a new species into a new ecosystem. Now, the first candidate for this bet, as luck would have it, used to "secretly" watch Powerpuff Girls. I learned this from his wife. She likes to gossip. Her and Rarity would probably get along swimmingly. Point is, he's the easiest target out of all my co-workers. If I can get one to understand, and maybe convert, then the rest should be easy pickings. So, what do you say fellow Bronies? Care to help me avoid having to buy a 12 pack of beer? Oh, and maybe help me convert my entire workplace, one individual at a time? TL:DR I'm trying to figure out which episode is the funniest so that I can convert my workplace and they can finally stop asking me why I'm a Brony. Seriously, I can't make my answers any simpler and the gears in their heads still seize up like a badly maintained county carnival ride. Today I'm laughing hyterically at... someone getting hit in the face in Slllloooow motion. I could watch these guy's videos every day of my life, I think. Howdy Ya'll How's everypony doing? Good? Great! I got news and the news is that I have recently been made a manager at the video game store I work at. Ain't that great? I have power now! I mean, who's crazy enough to give me power!? HA! My store manager and I did have a very long conversation though, but, before I regale you with that, I will unleash onto thee a bit of my ramblings. Now, like many Bronies here, or at least I imagine many of us fall under this specific category, many of us have jobs. In this day and age, starting a job when you are in your teens is a vital part of growing up. Well, at least that's my view on it. Even if the job you have right now is not your dream job, or simply a means towards an end to achieving your dream job. Having a job teaches you to be self-reliant, how to work with others, and the value of the sweat on your brow. Some may have simple easy jobs and other may have extremely demanding jobs. A job can be as simple as flipping hamburgers (No offense to anypony) to performing heart surgery. The thing is, that no matter what job you do or for whatever purpose you are doing it for, the main thing that you learn is to be responsible for yourself and for your actions. Not to sound like an old man with his rambles, and I don't say this with the intention to insult or insinuate anything about anypony that reads this... But I feel that that is one thing that is lacking in today's youth as well as young adults. Responsibility. Since I was young, and I mean early teens, I learned the hard way that your actions, even small ones, can have a direct impact not only on yourself, but on those around you. My motto since then has been that "What's done is done and cannot be undone" which is pretty basic in its meaning. You are "responsible" for your actions, either physical or verbal, and must accept and handle to the best of your ability and beyond what those actions bring about. There are no take-backs in life. Now, I am an easy going individual who is down to earth, likes to joke around, act like a goof and goof around, and above all likes to have fun. Honestly, its rare to find those kind of characteristics mixed in with responsibility, or at least in my experience it has been. Given all that though, I know I am not perfect. I never ever claimed to be perfect (although between you and I, I am damn near god like... What? What's with that look?). I have made a lot of mistakes, big and small. But, no matter the consequences, either economic or physically or emotionally painful, I have done my best to be responsible. It has not been easy, but, I guess I have always taken comfort in knowing that I am only responsible for myself since I am single and do not have children. This is perhaps one of the reasons why the conversation I had with my manager when I was promoted was somewhat... concerning and worrisome...but entertaining with my usual flare. Manager - "Come on to the back Chonico. We need to discuss something." Me - "I'm sorry I ate your pudding and I'll go to the store and get you one right now." Mngr - "...What?" Me - "Whoops" Mngr - "Seriously?" Me - "What? No! I was considering it and wanted to gauge your reaction." Mngr - "..." Me - "Still in the mini-fridge, you have my word." Mngr - *sigh* -In the back room- Mngr - "Okay, I spoke to the District Manager about you becoming a Manager here." Me - "Seriously? I thought we were just joking around about that?" Mngr - "What? Why? Where you joking around?" Me - "No, but considering I talked to you about it like 5 months ago... I thought you were just leading me on." Mngr - "..." Me - "I'm sorry, please continue." Mngr - "God I hate you sometimes..." Me - "I love and tolerate you too boss." Mngr - *odd stare* "Right, anyway, congratulations..." *hand shake* "You are now our 4th key-holder." Me - "Awesome! Now the managers of this store are at full rank. What level up power do we get?" Mngr - "..." Me - "You know? Video game store? Leveling up? Skill points to distribute?..." Mngr - "Yeah, okay, we just have a few things to discuss." Me - "Okay." Mngr - "First off, you are one of my best non-manager employees... Even if I do hate you sometimes." Me - "Love and tolerate boss... Love and tole-" Mngr - "Shut up... Point is, I never have to worry about you when you are out there. You do what you have to do. I don't have to challenge you or dangle a prize in from of you to make you do your job. I ask and you do it. You are honorable, honest, and responsible about your work. I like that." Me - "Well thank you! You do an awesome job too!" Mngr - "But, there are some concerns about you being a manager." Me - "... I want my compliment back." Mngr - "Too bad... Listen, there are three things I want to talk to you about. First off, I know I don't have to worry, but becoming a manger has a way to go to some people's heads. I know you will treat everyone with respect and use your best judgment because I've seen you do it even when people don't deserve it." Me - "You have my word I will not fall to the darkside." Mngr - *sigh* "Please take this seriously. I just want to know I won't regret it." Me - "Don't worry, its my coping mechanism. I'm just giddy with excitement. Plus, did Albert Einstein regret the atomic bomb?" Mngr - "..." Me - "Right, bad example. How about -" Mngr - "Shut up... I forget who I'm talking to. Actually, that brings me to my second point which is that you don't have a filter." Me - *looks at coffee machine and box of coffee filters next to it* Mngr - "Don't you dare... Look, listen, half the time you say really random odd things and I honestly don't know how to react. Good thing though, you know when to stop. If not, one of us would have already hit you." Me - "Okay, I'm confused, not having a filter simply means you say hurtful things without consideration, right?" Mngr - "You're right, I don't know where I was going with that. Guess I was trying to sugar coat it. Listen, you are a rambling loon. Better?" Me - "Touchy..." Mngr - "Store manager privileges. Look, since we are about to start hiring for seasonal help, I just want to make sure you won't cause them too much discomfort with your odd ramblings, okay?" Me - "Cross my heart and hope to fly, stick a cupcake in my eye." Mngr - "... Seriously?" Me - "Seriously." Mngr - "Fine, I'll take it. Third thing. Like I said, you are responsible. Thing is, as a manager, you are responsible for everyone else as well." Me - "I kind of expected that, yes." Mngr - "If they mess up, it reflects on you. If they want to keep their job, you have to make sure they do their job. If not, you and they will loose their job. Understood? Your job is now to make sure they do their job. If they mess up, you need to call them on it and coach them. I want you to turn them into more "comprehensible" version of you. Got that?" Me - "Uh... huh..." Mngr - "What? No witty remark?" Me - "No, its just... I was expecting what you just said. Me being responsible for them. Just, now that its actually happening and its sinking in... I'm a little bit freaked out to be honest." Mngr - "Heh, who knew that's all I had to do to throw a wrench in your gears." *pats me on the back* "Don't worry, you'll do fine." Me - "Uh huh, yeah... I could really use a muffin right now." Mngr - *hands me his pudding from mini fridge* "Congratulations manager." Me - "I'm still going to have to go get you one from the store, aren't I?" Mngr - "Yup!" I am no longer freaking out about being responsible for others. Well, not as much anyways. But I am confident I will do my best to, well, do my best at this.